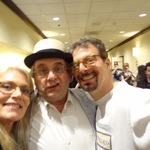 Gallifrey One 2013 – With Sylvester & Vito together for the first time since 2010! Gallifrey One 2013 – With Tony Lee, without waistcoat. Sweet and funny man. 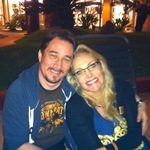 Still going through Gally pics and picking favorites.